Mongas Traditional Bridal Wear Dresses are different types of wedding dresses for the South East Asian women living in the United Kingdom check the designs below. 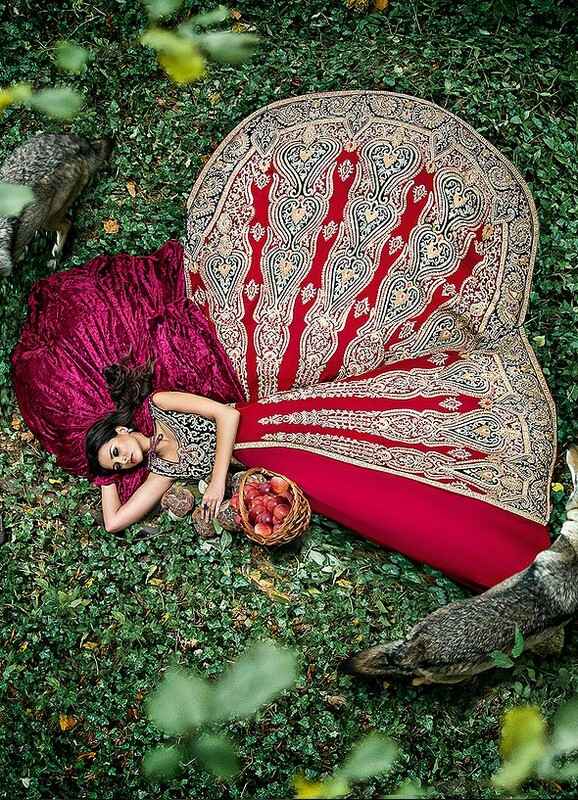 No matter where South Asian population lives in the world they like to dress up in traditional dresses specially Pakistani and Indian girls.Wedding is the event of their lives they want to look exactly what they have dreamed of they want everything in traditional designs and styles. 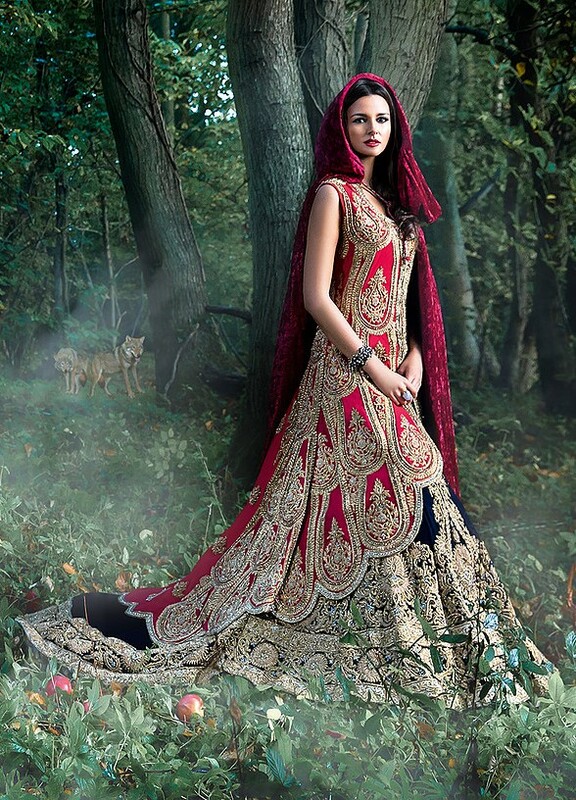 From jewelry to make up and dressing everything should be perfect and should be in traditional style.Mongas is the traditional bridal wear brand in the United Kingdom for the South Asian population their bridal dresses are for Indian and Pakistani women. 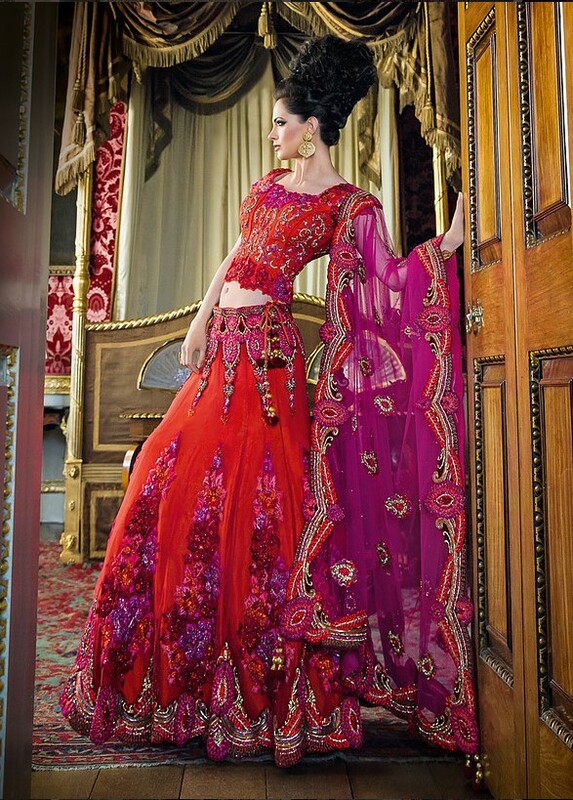 You will see floor length traditional bridal dresses in the form of lehenga and other dress forms with embroidery work all around.Embroidery is what women wants on the traditional dress forms some brands put heavy embroidered work for the winter season dresses. But in the summer minimum embroidery is needed because of the summer heat but as this is the UK brand so there is not much of heat as you can feel in Pakistan and India.Mongas is the Indian brand which started their business in 2004 from London before that brand was exporting worldwide from 1996. 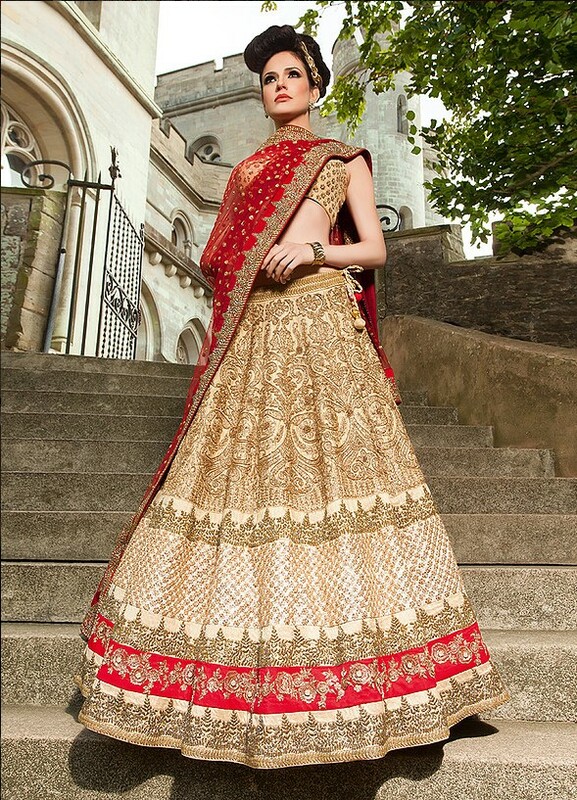 As you must have seen our other Indian bridal lehenga posts the designs are almost same there is just little difference in embroidery and thread work.Most of the bridal dresses are with golden thread work with golden and silver embroidery on the lehenga and choli part of the dress. These can be worn as bridal party wear dresses too if you are newly wedded women then wear these dresses as your party wear dress.So if you are living in the UK and looking for a traditional dress then Mongas Traditional Bridal Wear Dresses are for you check all the dress designs shown in the gallery below.